On January 11th and 12th Sacred Heart hosted Unleash the Power of AIM Workshop. World language teachers from across the United States and Canada attended the two-day workshop led by Wendy Maxwell, founder, and creator of AIM. The Accelerated Integrated Method, or AIM, is the groundbreaking methodology of language teaching that uses storytelling, gestures, songs, and dance to lead students to fluency in a second language. Its unique approach leads to proficiency at an accelerated pace due to its communicative approach. 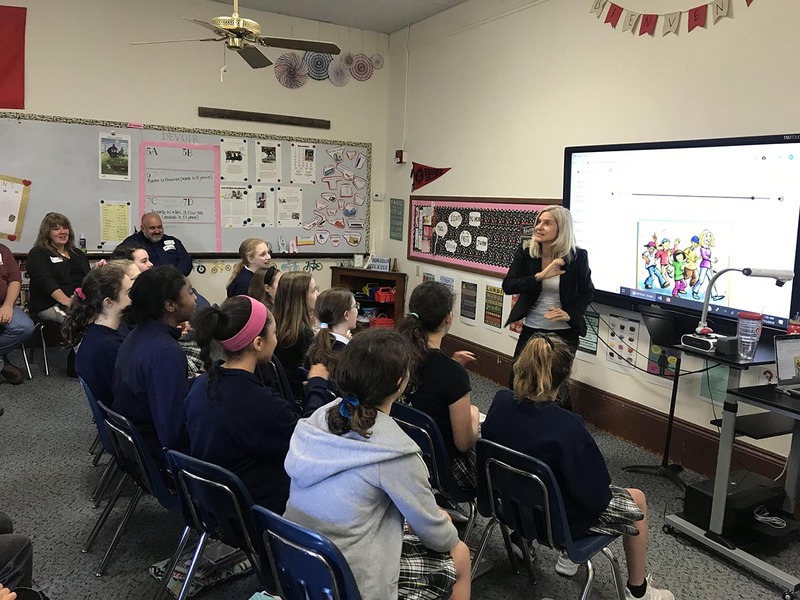 Sacred Heart uses the AIM method of language learning in the lower and middle school levels. 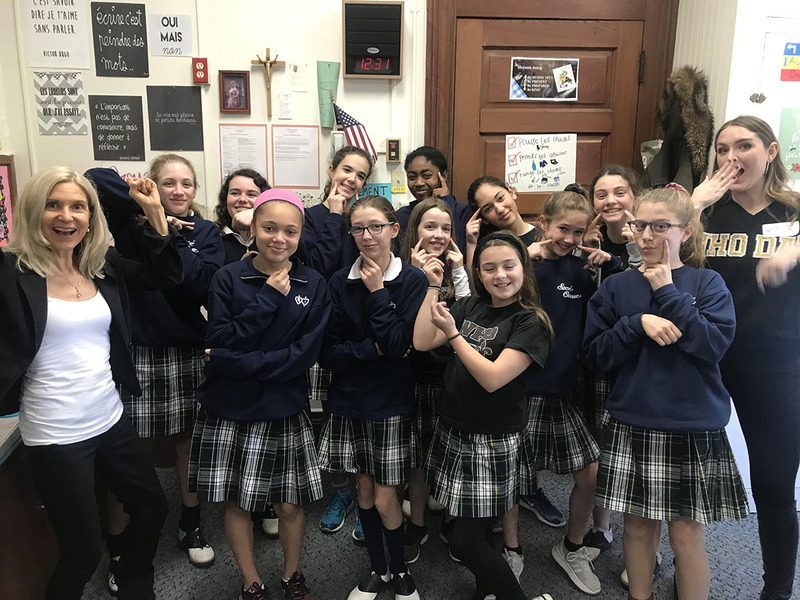 To serve as an example of the power of AIM and what AIM students can accomplish, Martha Falls's 7th grade French class and Kem Torres's 7th grade Spanish class were used as demonstrations during the training. Language teachers attending the workshop observed Wendy Maxwell and Kem Torres teaching in the AIM approach. Wendy Maxwell and the visiting teachers enjoyed Sacred Heart's warm hospitality and the opportunity to see a school successfully using AIM.